AB 534 amends Civil Code Section 4615 to provide that labor performed or services furnished for common area property shall be deemed to be performed or furnished with the consent of each association member, if authorized by any form of common interest development. Additionally, AB 534 creates Civil Code Section 8119 which states that the association is deemed to be the agent of its homeowners under mechanic’s lien law and is authorized to accept service of notices or claims in that regard if directed to the owner of common area property. The prior version of Civil Code Section 4615 (Mechanic’s Lien in Condominium Project) addressed member consent only in the context of condominium projects, and was silent with respect to who may be authorized to accept notice of a mechanic’s lien that was directed to the owner of common area property. Under existing law, if a mechanic’s lien has been recorded against two (2) or more condominium units, a homeowner could extinguish such lien relative to that homeowner’s unit by tendering payment for his or her share of the total sum secured by the lien; it was unclear as to whether the homeowner could post a lien removal bond attributable to his/her separate interest. By amending Civil Code Section 4615, AB 534 resolves the potential ambiguity in that regard. Under new law, a homeowner in any common interest development can release a mechanic’s lien recorded against the member’s separate interest by making the referenced payment to the lien holder or by recording a lien release bond in an amount equal to 125 percent of the sum secured by the lien that is attributable to such homeowner’s separate interest. AB 534 creates new law by adding Section 4620 to the Civil Code. 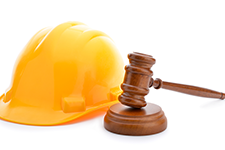 That Section provides that the association shall give individual notice to the homeowners of a lien claim within sixty (60) days if such claim is related to a “work of improvement on a common area”. AB 534 has the potential to make large-scale common area projects more attractive to potential vendors because they may be less concerned with lien recording challenges in the event of non-payment. Community associations should be mindful of its affirmative notification requirements upon passage of AB 534. As a statutory agent for its members, community associations must now notify those homeowners within sixty (60) days of its receipt of a lien claim related to common area improvements.